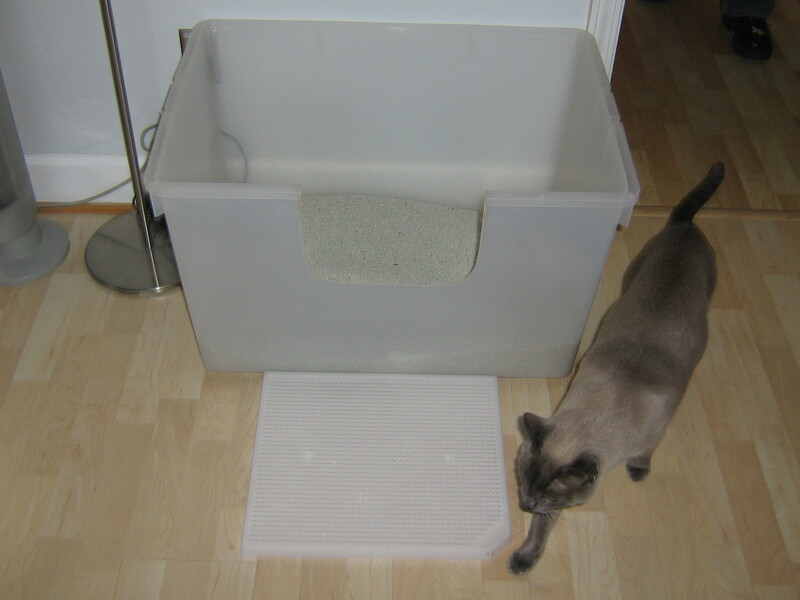 This style of litter box provides the function of a hooded box without the hood. It is clear so that the cat can see who is approaching, but keeps the mess inside, making it easier maintenance for the humans! 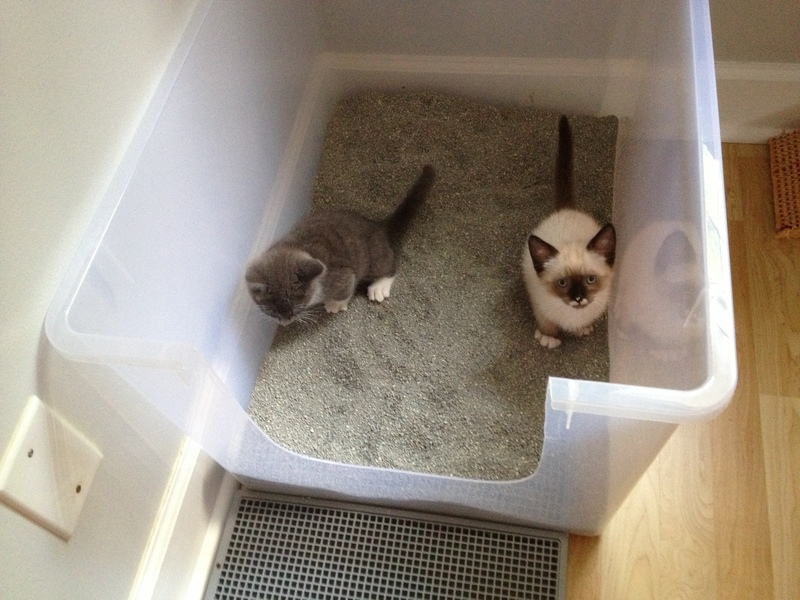 Most commercially available litter boxes are MUCH too small. Our preferred litter box. The bigger the box the better! The bigger the box the better! Box can be cut on long or short end, space dependent. 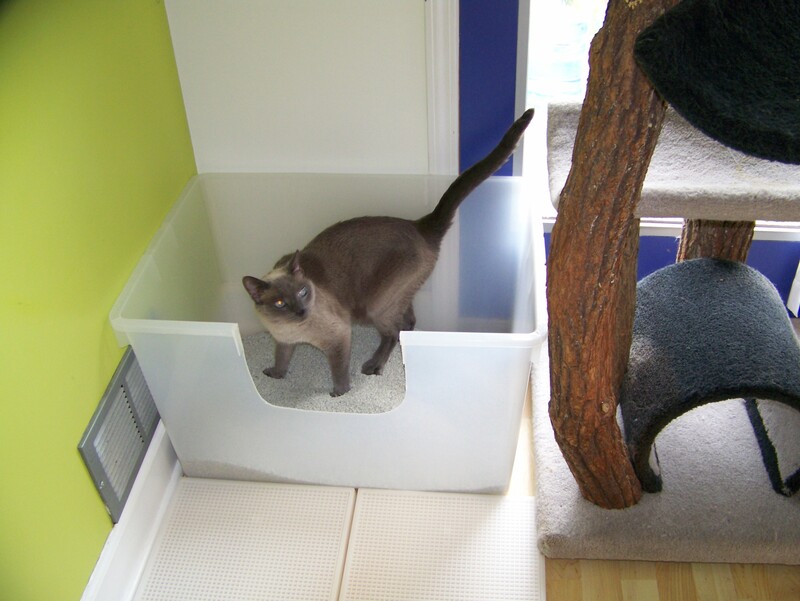 For more aesthetically pleasing examples of how you can incorporate litter boxes throughout your home please visit FundamentallyFeline.com - Litter boxes: get the scoop! Parts 1, 2 and 3!